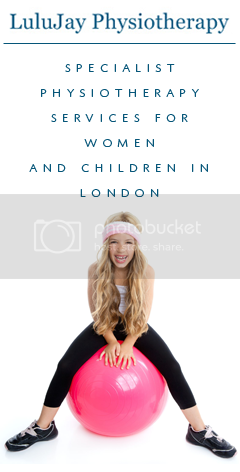 I went to a Yoga class recently with my friend Nicole from A Life Less Beige. As I arrived at the small intimate yoga studio (not the one pictured above) and walked inside, I was struck by how much I INSTANTLY LOVED the space. The lighting was soft and gentle, there was calming music playing and it smelt amazing. I felt relaxed and safe as soon as I entered. It may also have been that after a disastrous performance by London's public transport system I had then had to catch a taxi into some very dense traffic. I soon had to abandon the cab, mid traffic whilst apologising profusely to the driver as he sighed and surveyed the masses of cars around him, and I proceeded to power walk/jog towards the yoga studio on the sweltering hot day. And so as I stepped into the cool air in the studio and realised I had made it in time, I felt an instantaneous relief. As I relaxed on my yoga mat and waited for the class to start, I looked around and realised that upon closer inspection, it wasn't the gorgeous space that I had been struck with as I entered the room. It was in fact a an old garage, with no natural light, and brick walls that had been painted white. The lighting was from various strings of fairy lights, and candles scattered around, and the floor which had appeared to be wooden,was actually a series of interlocking rubber mats with a floor board pattern on them. The floor was also rather uneven, with a big lump at the bottom left of my yoga mat, which had obviously been strategically placed beside the uneven surface. The gentle music and essential oil diffuser further added to the atmosphere. Taking a closer look at the room, made me love it even more. As I was struck once again by how you can make and space wonderful, calm and inviting, without having to purposefully refurbish it. With fairly lights, candles, incense or essential oils and soothing music, you can create your own sanctuary, pretty much ANYWHERE. I was immediately drawn, when reading this month's Om Yoga magazine online, to an article entitled Amazing Spaces. And in the photo's above you can see that the space they photographed for their Amazing spaces feature really is Amazing! 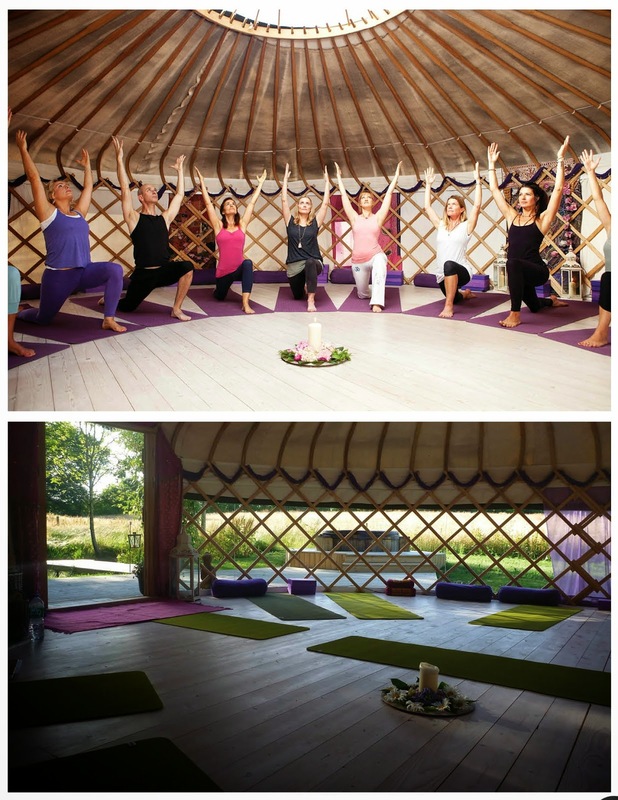 The Yoga Garden, in the South Downs, in the South of England looks INCREDIBLE! 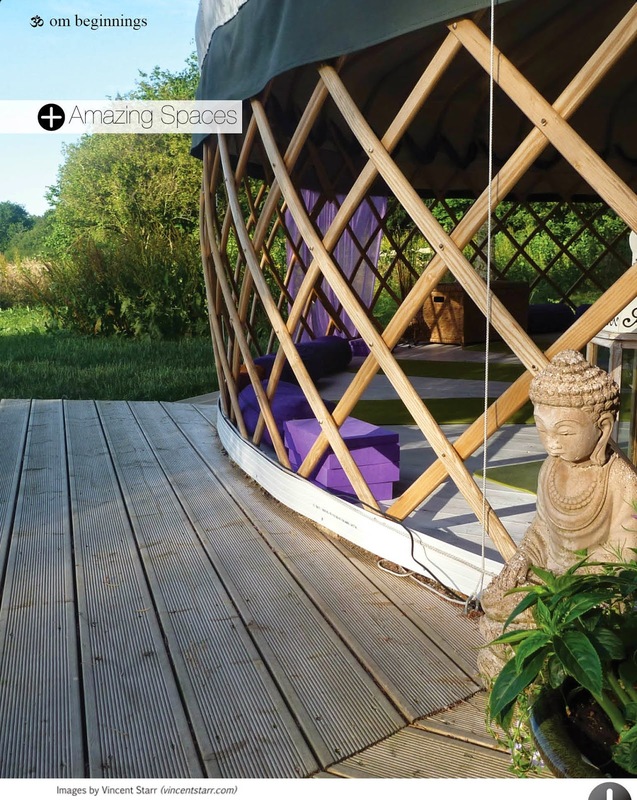 Oh my goodness I want to visit this Mongolian-Style Yurt so badly! Do you have any tips on how you like to create your own Amazing Space at home? Disclaimer: The kind people at Om Yoga Magazine, have given me a free online subscription in return for me occasionally sharing articles in the magazine on Berry Diaries. Considering that I buy the magazine every month anyway, I was delighted to be asked, and I hope that you enjoy hearing about the online Om Yoga magazine on here too! I am not receiving any compensation from the Yoga Garden by writing about them here either!